In the aftermath of yesterday’s threatened shooting at Staples High School, there are a host of heroes. The Board of Education, who were in the loop and supportive too. Of course, that’s easier said than done. All did their jobs wonderfully. They did them together, as a team — with people they’ve worked with for years, and those they’d never met. Westport averted a tragedy yesterday. It didn’t happen by accident. It happened because we have an amazing town. One filled with Unsung Heroes. Following Westport superintendent of schools Colleen Palmer’s initiative to place school resource officers in schools, and the subsequent horrific shooting in Florida, some local residents are letting their voices be heard. They say that regardless of which side of the aisle your loyalty rests with, protecting children and school staff in Westport should not be a political decision. An online petition has been started by myself and Adam Schorr. We contend that the need and time for action is immediate, with no time for debate. Many school districts around the country have already stationed police at or in their schools, as a deterrent. Security against threats from outside the schools is really only one part of the proposed SRO position, however. SROs are used in many school districts across the country, as well as in our neighboring districts. They are educators; relationship builders between students and the police; active, visible deterrents to the crime, drugs, harassment, bullying and alcohol use that is prevalent and growing in our schools. The right candidate is trained to be friendly, open and approachable. Westport has long enjoyed the successful DARE program (although not well funded) and the Westport Police Youth Group, run by officers who know our kids from grade school through high school. Think of the SRO as a DARE officer actually stationed at the school, not the fatigue-wearing, machine gun toting SWAT members we see at airports. But make no mistake, in this day and age, his main duty is security, protection, quick action and notification of threat to the police department. When time means lives, every second counts. A school resource officer at work. According to the group, none would argue the threat is real and urgent. None would say this is a better solution than effective gun control, better funding for school security from the government, better mental health intervention or Congressional action. But no one can also argue that any of these things are going to happen in time to prevent or mitigate the next “professional school shooter” who is out there plotting. This Monday evening (February 26, 7:30 p.m., Staples High School cafeteria) the Board of Education will hear a report from a team of administrators, district security staff, our police chief and deputy police chief on their investigation into the SRO position in place at nearby schools. It is an excellent opportunity to gain the truth about what the position is and is not, and make up your own mind on the subject. We will continue to review and reflect upon all of our security measures to remain prepared and to enhance any deterrents to school violence. This past Monday, a team of administrators, district security staff, both our police chief and deputy chief, and a representative of our Board of Education conducted a site visit to a neighboring school district that employs School Resource Officers. SROs are specially trained police officers assigned to work directly in schools to support school safety. Having a School Resource Officer in our District for 2018-19 has been under review for the past few months, as well as other ongoing initiatives. I am a proponent of School Resource Officers in schools, and in fall 2017 I proposed that the district seek to have at least one SRO in place for the 2018-19 school year. At the board meeting on Monday evening, the board will be discussing this topic as one of its first agenda items. 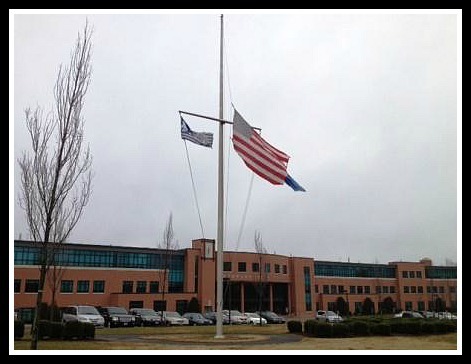 Yesterday, waves of shock and profound sadness permeated all schools in our country as again we heard about another school shooting. One official reported in the press that this was the 18th school shooting in 2018, and it was one of the most deadliest in terms of loss of life. Our thoughts and prayers go out to the community of Parkland, Florida as it grieves the loss of its loved ones and struggles to come to terms with this horrific event. Schools are the heart of any community, housing its most vulnerable citizens when in operation. On any given school day, we have 21% of our Westport residents sitting in our classrooms. Ensuring that our schools are safe and secure for our students and staff remains our preeminent goal. Nothing supersedes keeping your children safe – nothing. With the level of emotional upset felt in our community by the recent news in Florida, there have been some parent inquiries about our school security. While it would not be appropriate to share details of our overall plans in this communication, it is important to know that our District has comprehensive safety and security plans in place at each of our schools that have been reviewed by our first responders. We work in a strong partnership with all of our first responders, and Chief Koskinas and I regularly communicate, as we did last evening, whenever there are events that can have a ripple impact in our community. Our District trains staff how to be prepared and to keep our students safe in any event that we may encounter, from a high-impact weather event to an active shooter situation. Every school routinely conducts lock down drills and other emergency drills. Ironically, Staples High school had informed its students earlier this week that in homeroom today the school would be reviewing its lock down procedures for a scheduled drill after the break. The school will continue with its preparation for this drill, but has modified the presentation to be sensitive to recent events. We will continue to review and reflect upon all of our security measures to remain prepared and to enhance any deterrents to school violence. This past Monday, a team of administrators, District security staff, both our Police Chief and Deputy Chief, and a representative of our Board of Education conducted a site visit to a neighboring school district that employs School Resource Officers. 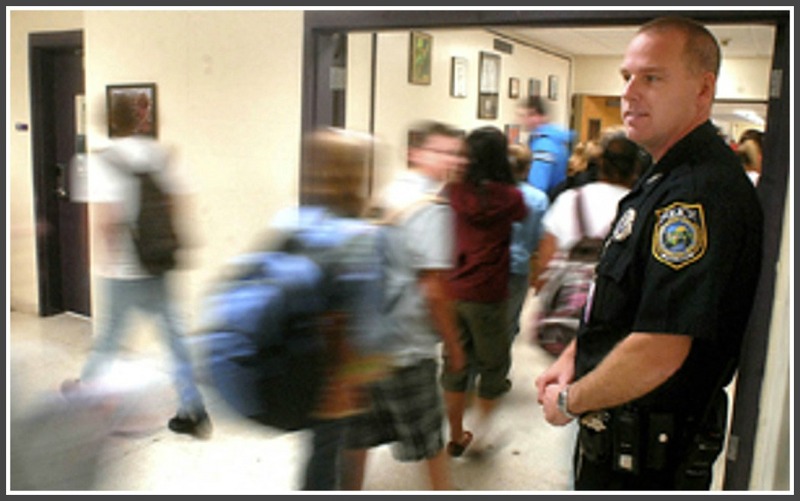 SROs are specially trained police officers assigned to work directly in schools to support school safety. Having a School Resource Officer in our District for 2018-19 has been under review for the past few months, as well as other ongoing initiatives. We are constantly seeking to assess every aspect of our security program. Our safety plans don’t just sit on a shelf, but are discussed, reviewed, and improved on an ongoing basis as we gain new information. While much of our work on school safety and security is behind the scenes, we never stop seeking to improve our approaches, protocols, and training to support the well-being of our students and staff. In response to parent requests for more information, we will provide a presentation on school security in the upcoming weeks. Please do not hesitate to contact your student’s school administrator if you have specific questions or concerns related to the safety of our schools. On behalf of all Westport residents, I would like to offer my heartfelt prayers and condolences to the residents of Parkland, FL. The senseless mass shooting at the Stoneman Douglas High School has devastated dozens of families. It has also vaporized the dreams, hopes, and futures of so many promising teenagers who were lost. All Westporters are terribly saddened and heartbroken over the tragic events. Unfortunately, gun violence such as this can happen anywhere, as the 2012 Sandy Hook school tragedy constantly reminds us. Parkland, FL has a population size similar to Westport, and was recently named one of Florida’s safest cities. 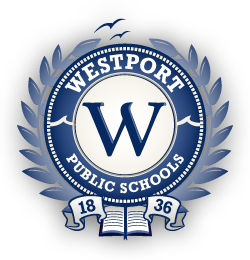 In Westport, our police department continues to take proactive measures, in coordination with the Westport Public Schools, to protect the safety and security of our students and staff. Our police officers and school staff regularly receive training to prepare for, and respond to, similar crises. But that is not enough. Congress must pass legislation that protects our youth and all citizens with reasonable and common sense gun regulations consistent with Second Amendment rights. There is absolutely no excuse for our national leaders to ignore this problem again. The Westport Public Schools want students to think creatively and innovatively; to approach problems in ways no one else conceives of. That’s an important part of education — and crucial for success in the 21st century. To do that, teachers must model that type of thinking. And to give everyone extra encouragement, the district is putting its money where its mouth is. A $50,000 Innovation Fund is available to all students, faculty and staff. The goal is to encourage exciting ideas, foster new ways of thinking, and nurture an ongoing culture of creativity. It’s not a new concept — districts like Wilton, Trumbull, Chappaqua and Scarsdale — have similar funds. But they’re usually run by third parties, such as foundations. But, according to director of elementary education Julie Droller and technology director Natalie Carrignan, the Westport district wanted to select the best ideas itself. 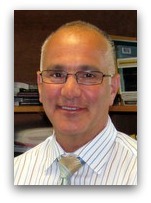 Board of Education member Mark Mathias was an early proponent of the fund. Superintendent of schools Colleen Palmer was also a strong advocate. Just a couple of weeks after the fund was created, applications are pouring in. Proposals include new ways of using technology, novel activities and requests for physical devices. Drones are fun. They can also be educational. 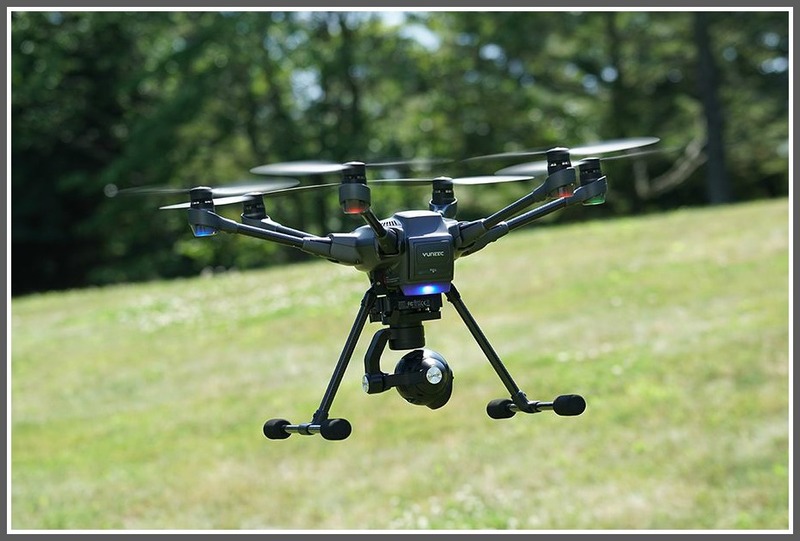 One example: enhancement to the middle school STEM curriculum by using drones and coding software to solve real-world challenges. Another: Teachers using technology to help them reflect on how they’re doing in the classroom. It’s similar, Carrignan says, to coaches who use game film to analyze performances. The Innovation Fund is available to anyone in the district. One 3rd grade parent asked for more information, for her child. A committee meets this week to review the first batch of requests. To learn more, click here. The Staples High School Class of 2017 is now history. Over 450 members of the 130th graduating class received their diplomas amid the usual pomp and circumstance in the fieldhouse. It was a day of celebration, joy, pride — and relief, sentimentality and longing. 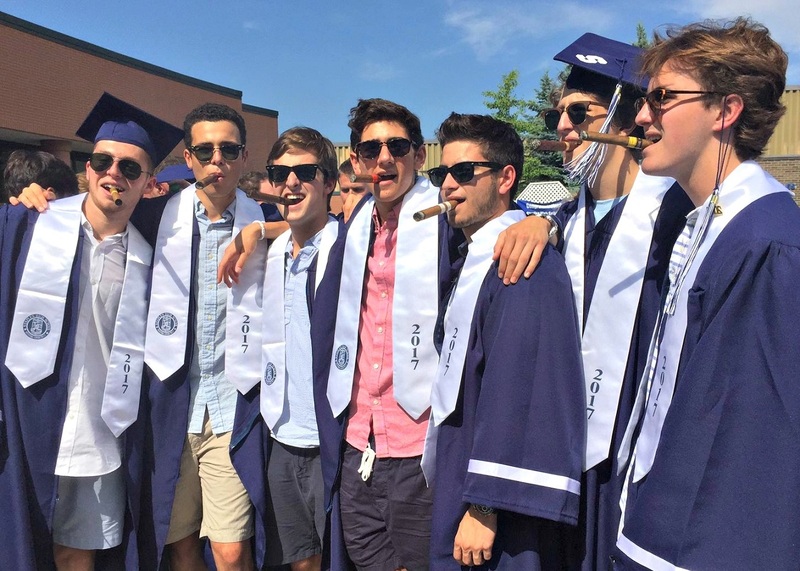 Graduates and their parents looked ahead — and back. And of course, everyone took photos. 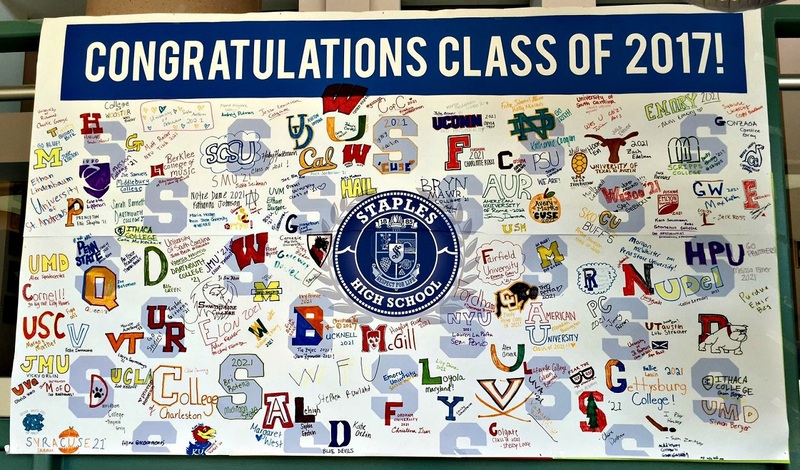 For weeks, seniors have filled a large poster with their post-high school plans. Today it was on display for all to see. 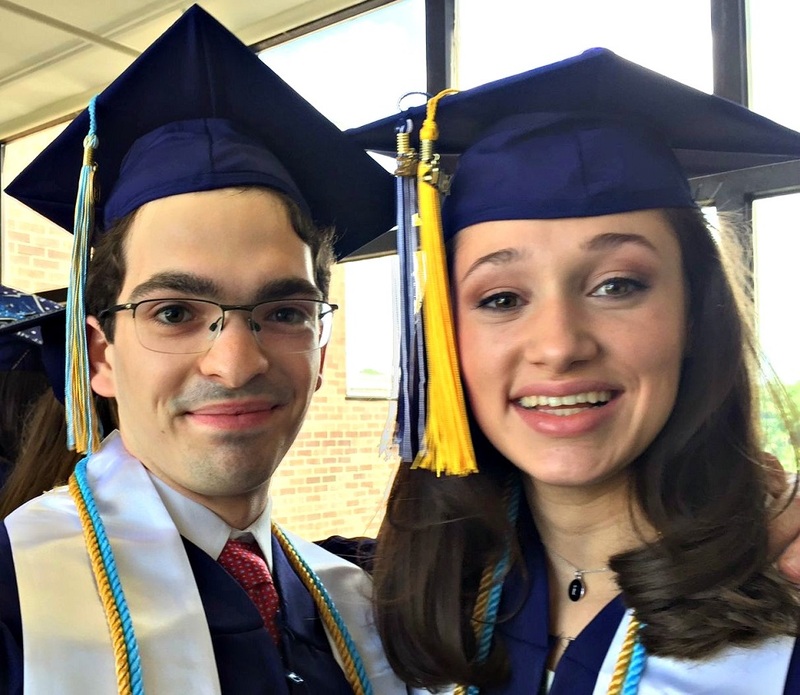 … and so did salutatorian Christopher Scherban and valedictorian Emily Schussheim. 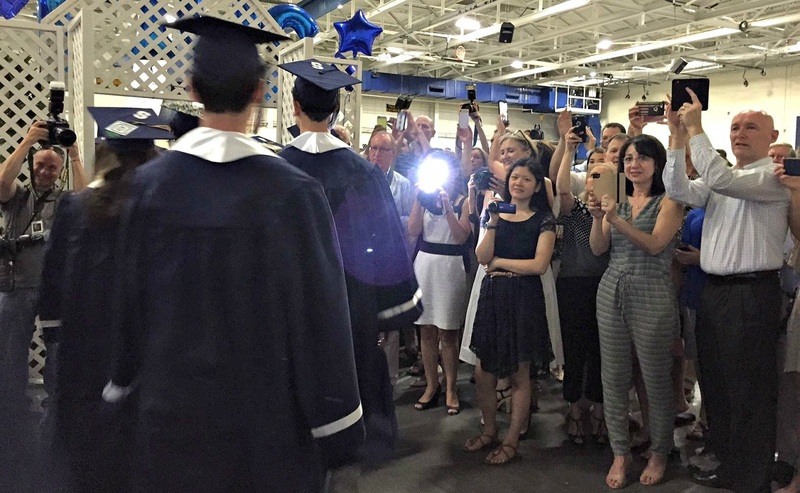 The processional into the fieldhouse isn’t a red carpet — but at graduation it can seem like one. 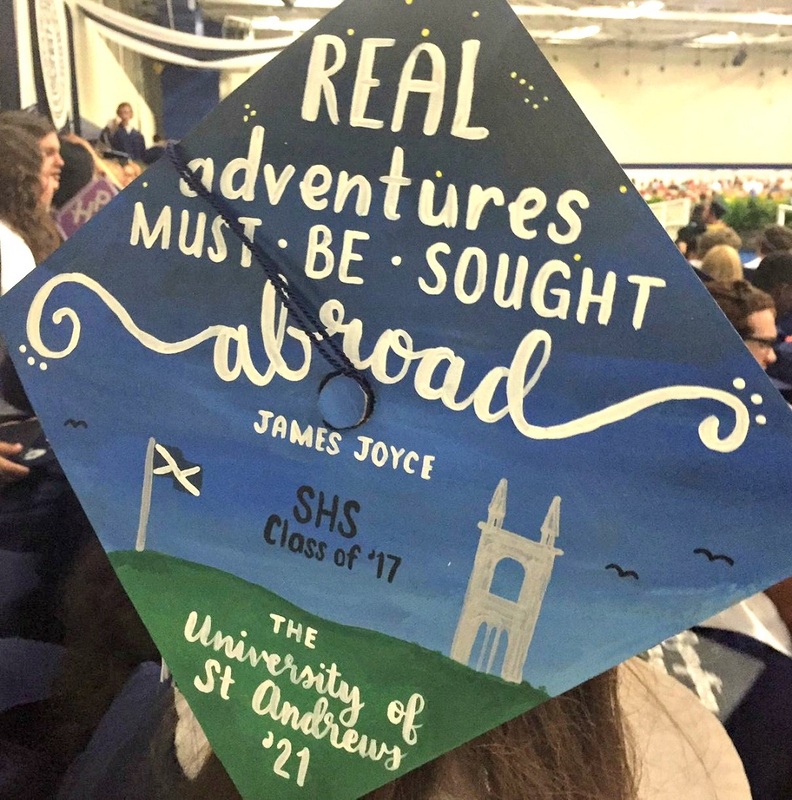 Some seniors decorated their caps with messages. St. Andrews is in Scotland. 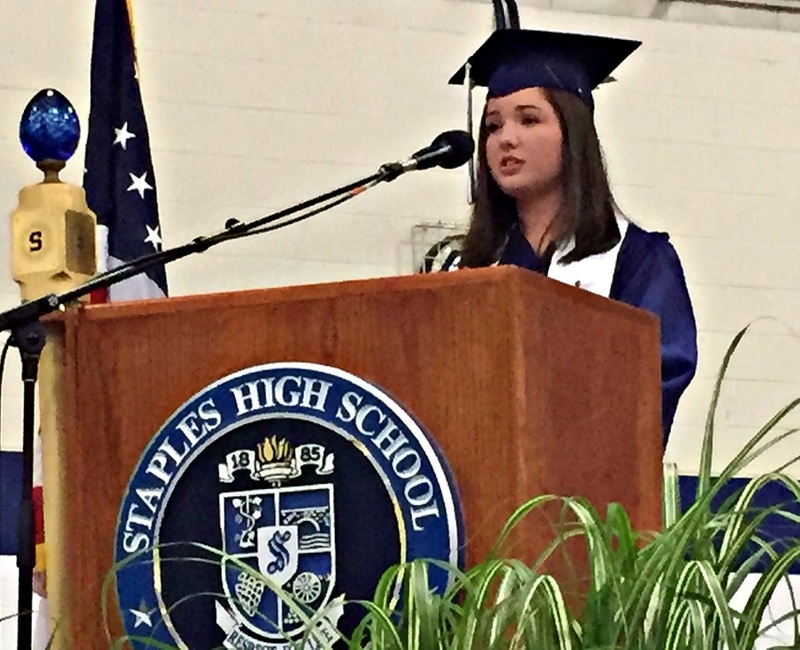 Class speaker Megan Hines had a wonderful message. 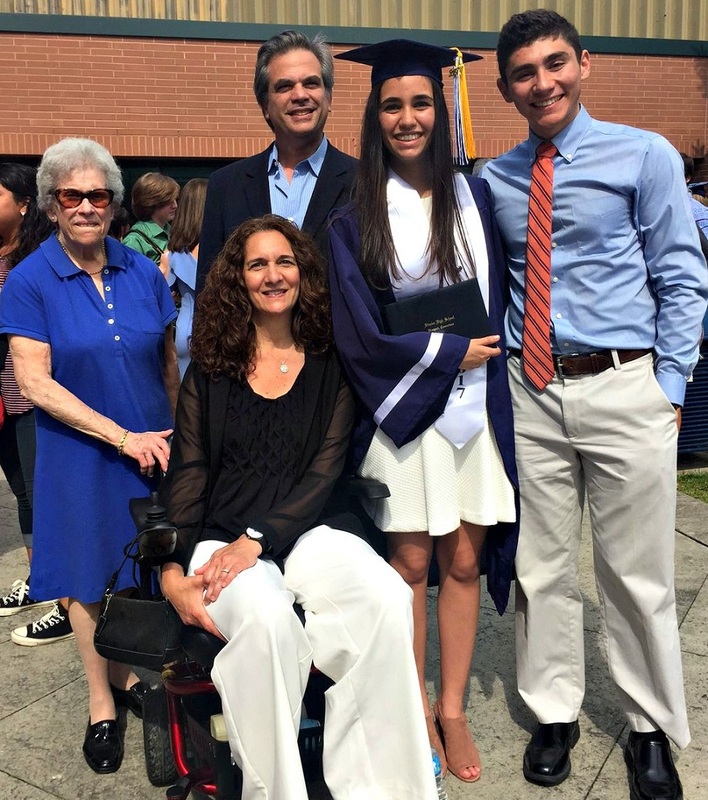 She described never taking AP or honors classes, but finding herself — thanks to caring friends, guidance counselors and teachers. “You are never alone” at Staples, she said. 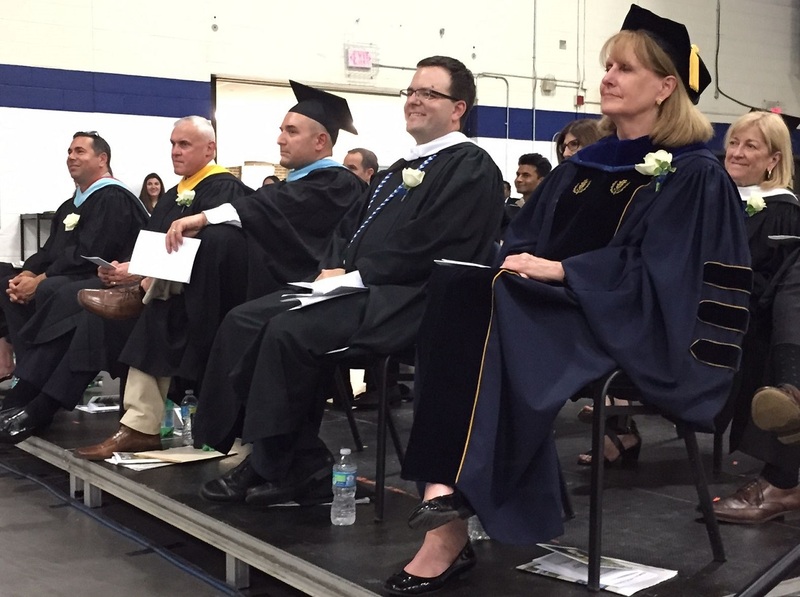 Listening intently to the student speakers were (from right) superintendent of schools Colleen Palmer, principal James D’Amico, 12th grade assistant principal Pat Micinilio, assistant principal Rich Franzis, and and assistant principal (and proud father of graduate Jimmy) James Farnen. 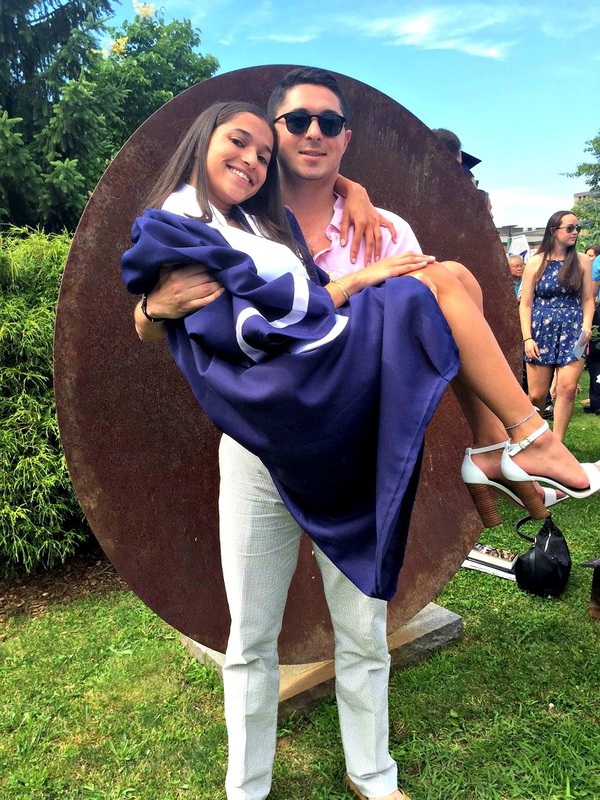 Shelby Lake got special congratulations from big brother (and Staples Class of 2011 graduate) Court Lake. Brooke Wrubel posed with her family in the courtyard. A celebration isn’t complete without some good cigars. 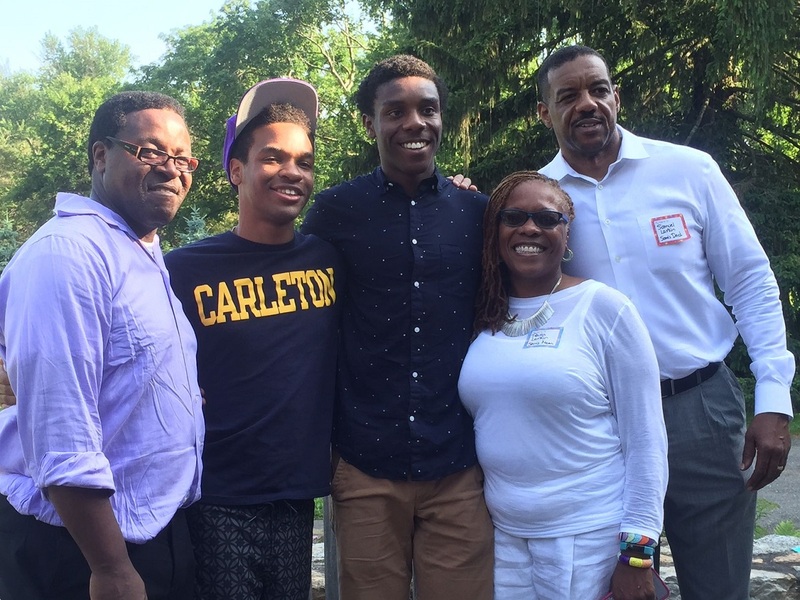 A Better Chance scholars Manny Ogutu and Sam Larkin enjoyed a post-graduation party at Glendarcy House with their proud parents — and a host of well-wishers. I wish to advise you of the potential for a strike by the school bus drivers employed by our bus service company, Dattco. 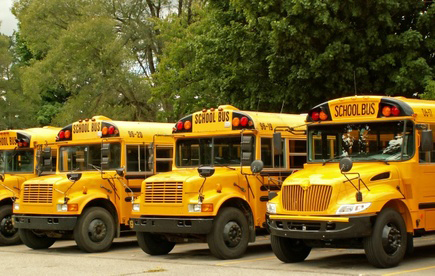 If, in fact, collective bargaining between the bus company and the driver’s Union fails to reach resolution by midnight Wednesday, April 26, THERE WILL NOT BE REGULAR BUS SERVICE to transport your children to and from school beginning Thursday morning, April 27. 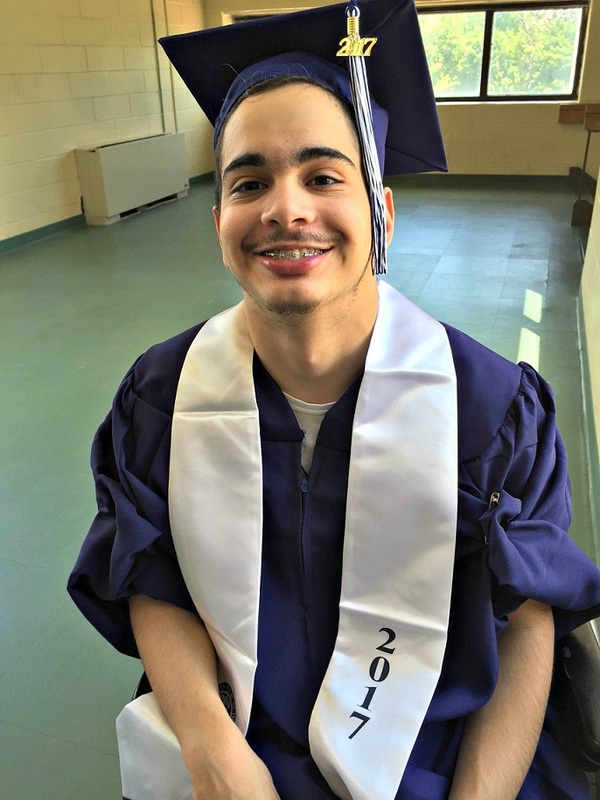 The only exception will be those special education students currently accessing specialized transportation, for whom the district will continue to provide transportation during the strike. Should the strike take place, school will still be open on Thursday. 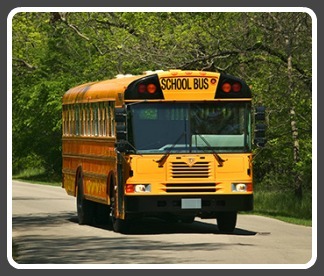 I ask you to arrange transportation to get your children to and from school, if at all possible. I urge you to consider forming car pools during this critical period. While it may be tempting to have your students exit your car in proximity of the school campus, please continue to ensure the safe drop-off of your children by waiting in line to pull up to access the official drop-off area. I also ask that any students who do not normally walk to or from school refrain from doing so during this time period. In the event that you have no means to provide transportation for your student(s) during this period, the District will have very limited resources with a handful of drivers to pick up students individually. 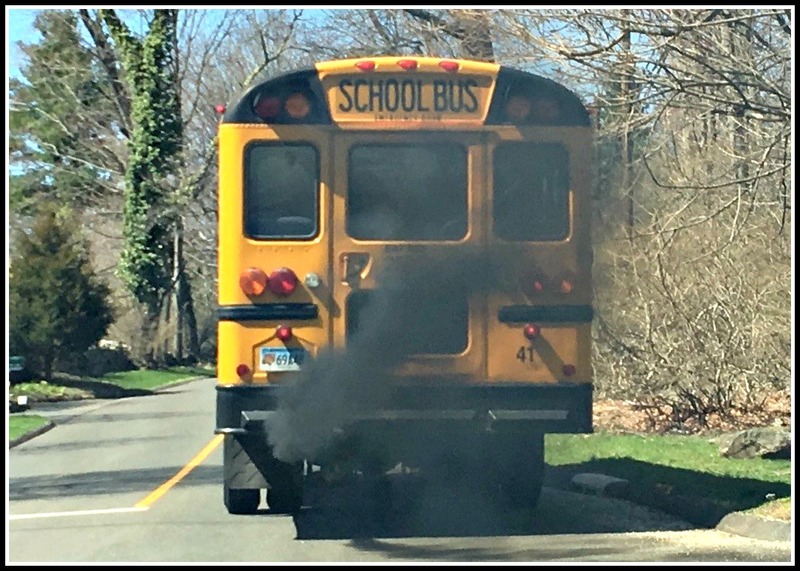 These ad hoc runs may not be able to get students to school on time, and may, in some instances run an hour or two after start time. Individuals seeking support for transportation should contact their respective school administration as soon as possible on Wednesday. The Westport Police Department has arranged to provide additional traffic officers to direct traffic at high volume locations to ease the strain of traffic on our local roads and at each of our school sites. I urge you to make every effort to have your children arrive at school approximately 30 minutes prior to their normal school start times so that all of your children’s school activities may take place in accordance with their regular school schedules. To accommodate the increased automobile traffic that is anticipated with parent drop-offs you may use both the parent drop-off area and the bus loop at each school in the morning during this period. Staff members will be in each of our schools to accommodate and handle the arrival of students who may arrive earlier than their usual arrival times. Also, if our community does need to deal with a bus driver strike, we understand that some students may be upset if they arrive late to school with traffic delays, etc. Please assure your student(s) that they will not be penalized in any way for arriving late during this time period. If a strike does take place, all before and after school activities at the elementary schools will be canceled. Specifics as to the arrangements surrounding drop-offs and pick-ups and other pertinent information will be emailed to you by your building principals on Wednesday, April 26. Should we learn before 12:01 a.m. on Thursday that a strike has been averted, we will notify all families via email and will place a message on our SNO-LINE, (203) 341-1766. Should there not be a settlement by 6 a.m. on Thursday morning, April 27, we will notify you through a telephone message, email, and text that you will need to make alternative arrangements to get your students to school and to pick them up at the end of the day, as described above. Again, I urge you to do your best to form car pools in the event this potential strike actually occurs. 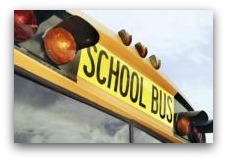 Individual principals will follow-up tomorrow with more specific plans regarding arrival and dismissal at each school. In the event the strike occurs and extends more than one day, we will assess the viability of continuing to have our schools open based on the feedback from operations of Thursday, and the number of students for whom the lack of transportation resulted in them not attending school. No matter what, the safety of your students is first and foremost. If you cannot find a safe way to arrange for your student to attend school, please contact the school administration. In those circumstances, your student’s absence from school will not count against him/her. Our students will follow our lead in how we handle this possible challenge. If we communicate that we have to be flexible and adaptable in our problem-solving, and our students know that they will be not held accountable for any disruption to their day caused by this situation, perhaps they will learn from this how to strategize for success instead of stress over obstacles. Last week, the Board of Finance voted to cut the education budget by $1.7 million. Today, superintendent of schools Colleen Palmer announced possible reductions, if that cut is sustained. Moving to a “double 3 tiers” of elementary busing, causing a 3:45 pm dismissal at either Long Lots, Coleytown Elementary or Greens Farms. Palmer noted that according to union contracts, salary and benefits require at least a 3+% budget increase each year. “The structure of education funding in Connecticut is grounded in binding arbitration for our union contracts,” she said. The Board of Finance meets on April 5 at Town Hall (8 p.m., Rooms 201/201A). At that time, they may consider restoration of funds cut at their previous meeting. The Board of Ed will discuss these issues at its own meeting this Monday (March 27, 7:30 p.m., Staples cafeteria). The meeting will be televised on Channel 78.